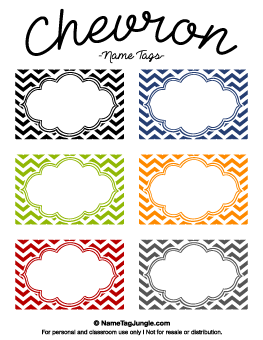 Get all 268 name tags at NameTagJungle.com without watermarks in a bundle for only $29.99. Every name tag on our site is included without watermarks. PDF files are editable in Adobe Reader. Just open the file and type names or other text. JPG files are suitable for editing in Microsoft Word, Photoshop, and other programs. 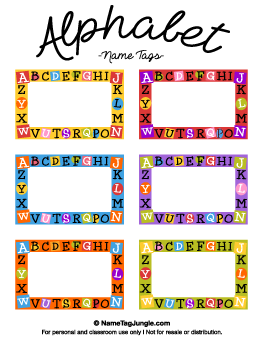 All of the name tags from NameTagJungle.com are included. 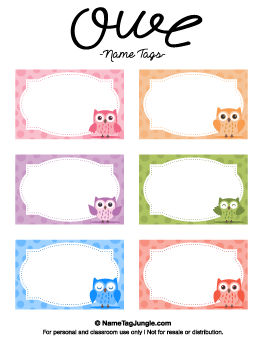 Each sheet of name tags includes 6 name tags based on the same theme. Most name tags are rectangular in shape with dimensions of 2.25 inches high by 3.5 inches wide. A few name tags are shaped like objects such as apples, pencils, etc. These have different dimensions. Note that only the content of the text is editable - fonts, colors, and sizing can't be changed. Add custom text with complete control over fonts, colors, and sizing (within the limitations of the program you use). The name tags are primarily intended for printing on your own printer. We don't mind you using a professional printing service. However, please note that due to the usage information on the bottom of the page, some services may refuse to print these for you. We have no control over their policies. If you want to use a service, you should check with them before buying the name tags. The product is a digital download. No physical product will be sent to you. Since this is a digital product, we are unable to offer refunds once you have downloaded the file. When you purchase the bundle you are only purchasing the files for the name tags. Your purchase doesn't include support for things like troubleshooting printer issues or assistance with using software like Microsoft Word to edit the name tags. We are unable to customize the name tags for you. This includes the designs, file formats, and any other type of customization. You may use the name tags for non-commercial purposes only. This includes things like school, sports, church, and other similar situations. For example, printing the name tags for a class at school would be fine, while using the tags for a business conference isn't allowed. You may not sell printed versions of the name tags. 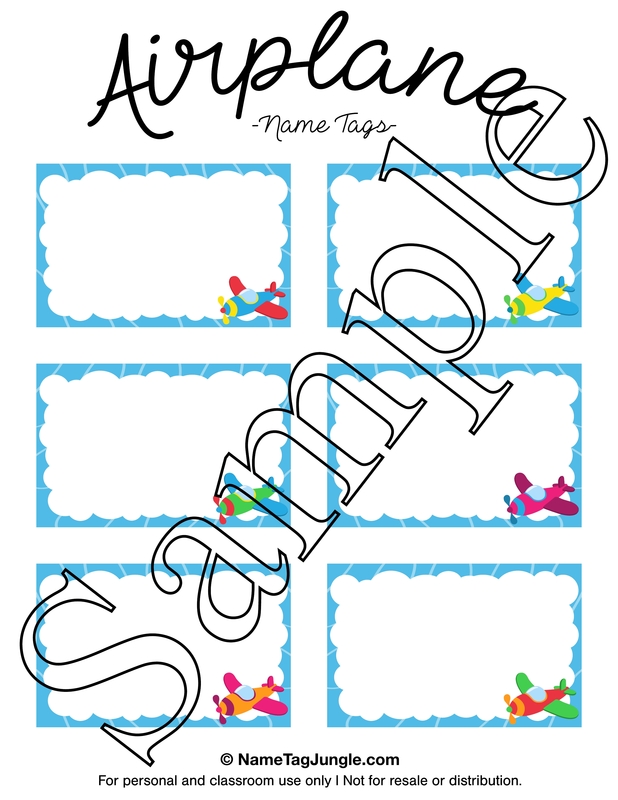 You may not distribute or sell the digital files for the name tags. These policies apply to any derivative works based on the name tags as well. You will receive an email with a download link once your PayPal payment is processed. The email will be sent to your PayPal email address. Make sure you are able to access this address prior to ordering. Please note that the file is very large (nearly 700 MB), so it could a while to download depending on your connection speed. We recommend downloading on a stable connection using a desktop or laptop. Using a mobile device isn't recommended.